Roothy has a big announcement about what he is going to be doing for Milo as he plans Milo's big last trip. Milo is one of Australia's most recognisable 4 wheel drives, it's probably done nearly all of the iconic 4 wheel tracks throughout Australia. I have always been amazed at the queue of people at 4 wheel drive shows lining up to see Milo. Roothy has had Milo for over 20 years. We talk about Roothy's adventure in Milo 2. Out on the tracks with the hand brake and he managed to roll Milo 2. We look at the difference in set up between Milo and Milo 2 and why Milo is better set up and wouldn't have rolled like Milo 2. There are some important lessons here for everyone heading offroad in setting up your 4x4 so that it is safer and more stable when on the tracks. Rollovers can happen at very low speeds and a lot of it depends on what modifications that you have done with your 4WD. Centre of Gravity is something that everyone need to understand if they want to avoid rolling over. Some great safety tips for making sure that everyone comes home safely from their trips whether a day trip or a 2 month trip to the Cape. 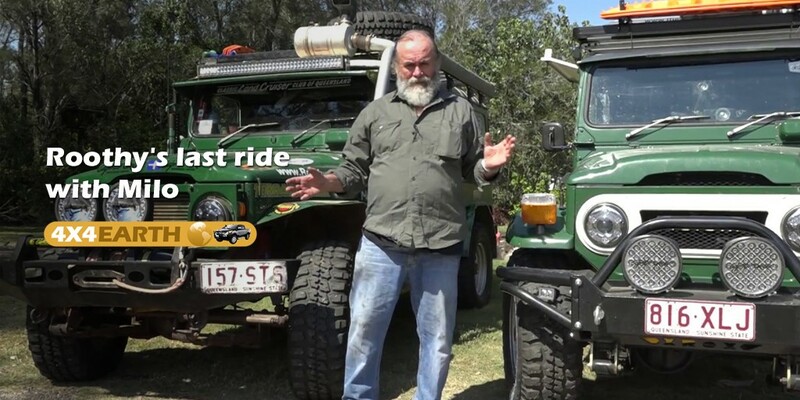 Join in the conversation on the 4x4earth Forum and let us know what you think about this episode.